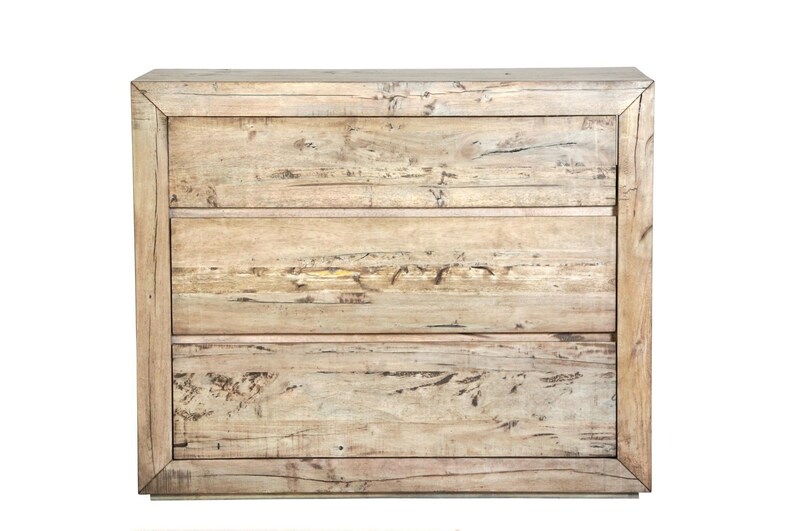 Capture rustic reclaimed style with this media chest. The piece features three drawers for storage, inviting you to tuck away clothing and accessories in the drawers while your TV rests on top. Crafted from reclaimed woods, the chest has a rustic, warm feel. Clean lines and a simple silhouette complete the chest for a look that exudes modern organic style. The Renewal 3 Drawer Media Chest by Napa Furniture Designs at HomeWorld Furniture in the Hawaii, Oahu, Hilo, Kona, Maui area. Product availability may vary. Contact us for the most current availability on this product.